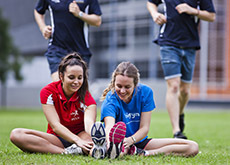 Current projects can range from student accommodation, academic or administrative facilities on campus, to facilities for the wider community developed in other areas of the Perth metropolitan area or in regional areas. Planning is underway on stage 2 of Forrest Hall, which will sit alongside the existing Forrest Hall building. Stage 2 will include short-stay accommodation, administration space, and landscaping designed to give improved public access to the river foreshore. Campus Management is working with the School of Indigenous Studies to design and build a brand new purpose-built facility for students and staff. EZONE UWA is a multi-stage vision, designed to provide new and significantly upgraded teaching and research infrastructure at UWA and deliver innovative solutions in the fields of engineering, computing and mathematics. The Shenton Park campus site lies in close proximity to the UWA Crawley campus, the Perth CBD and key employment, transport, recreation and community facilities and infrastructure. It represents a significant asset for the city and the state and it is uniquely placed to develop positive partnerships with a wide-range of neighbouring stakeholders. Campus Management has begun work on a new UWA Landscape Vision, providing framework to guide future soft and hard landscape projects across the Crawley campus. The University is currently developing a fit-for-purpose, innovative and dynamic wayfinding system designed to improve the experience of all visitors to UWA.